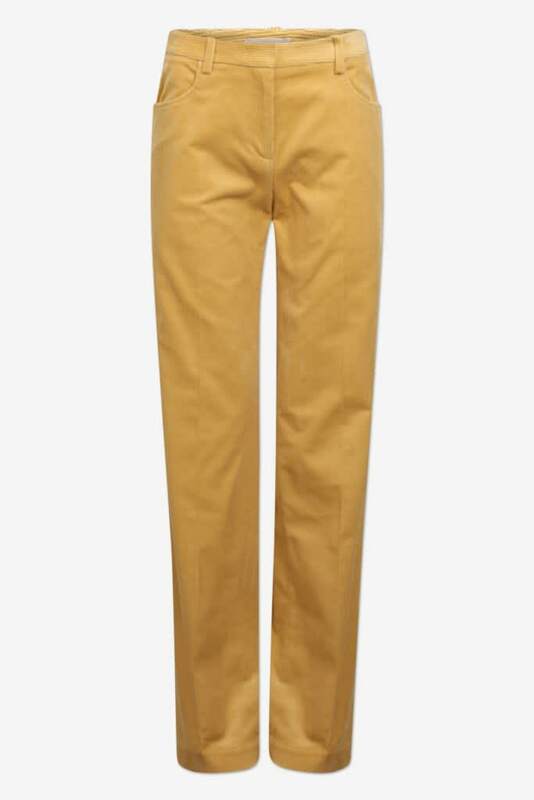 Baum Und Pfedergarten Corduroy pants with straight legs and belt straps. Two pockets at front and two pockets at back. Zip, hook and button closure at fron.